Ed Sheeran, the King of the charts, has exposed the industry’s best kept secret. I was beginning to think all new music was starting to merge into one long, horrible song, but didn’t realise how, seemingly, any song in the whole universe can be played over just four chords. The ginger pop legend was so adamant about spreading the word about this musical farce, he demanded his guitar so he could demonstrate. 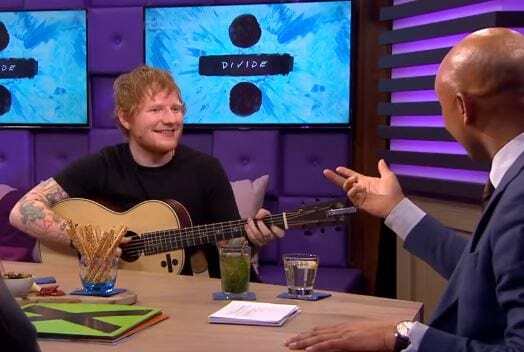 Appearing on a Dutch late night talk show, Ed revealed the four chords are Em, Cadd9 ( Or C), G and D.
He asked the hosts to name songs and proceeded played hits from Craig David, The Beatles, Spice Girls, Passenger, Beyonce and Bruno Mars. As well as busting the myths of the industry for the greater good, Ed made one of his fan’s dreams come true, just before playing to a sell-out crowd in Adelaide, Australia. One fan planning on going to the gig was Sherie Hagger, who was diagnosed with stage three bowel cancer for the second time in her life in 2016. 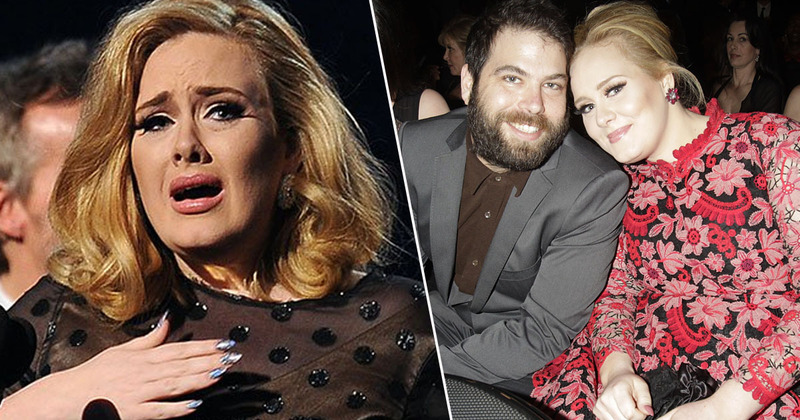 Despite booking tickets in May last year, she didn’t think she’d make it to the concert because she felt her body was ‘slowly shutting down’. The determined 32-year-old managed to make it to the gig and got to meet her hero, who wrote her an encouraging message. He’s normal, he’s down to earth, he’s humble, he’s kind, he’s everything I had expected – if not more – plus he genuinely loves his fans. At the Adelaide concert there were fans camping outside the venue for days in advance to make sure they got prime position! Ed organised for pizzas to be delivered to them. That act of kindness toward his fans doesn’t even scrape the surface. 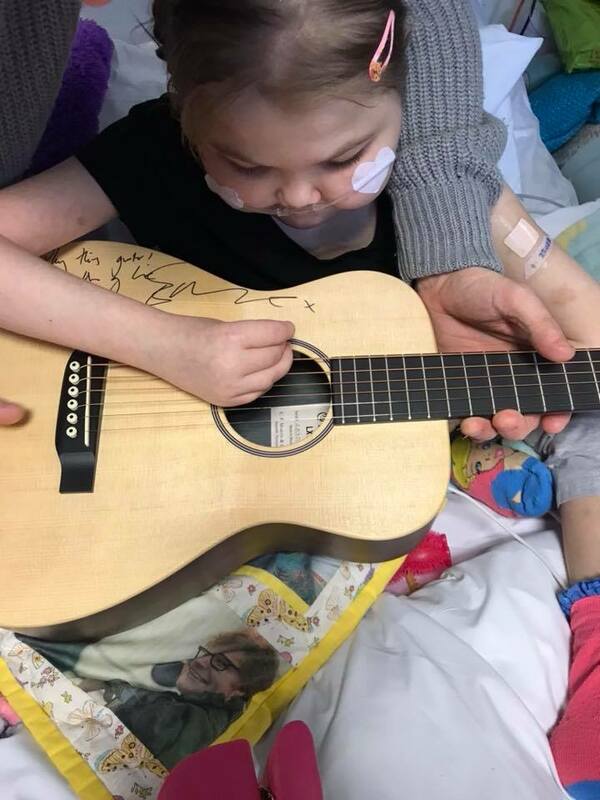 Everyone’s favourite musical nice guy also donated his signature guitar to a terminally ill fan, named Melody Driscoll, who’s battling incurable Rett syndrome, and left in incredible pain at the age of just 11. The guitar was put up for auction by Melody’s parents, Karina and Nigel Driscoll, who are facing a £50,000 legal fight over the care of their daughter. Melody is Ed’s biggest fan, and she would blow kisses at the redheaded maestro when she saw him on the TV. 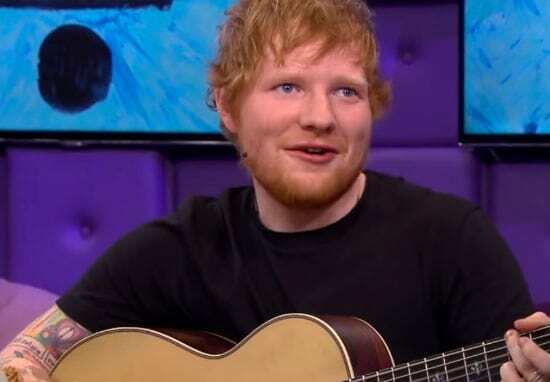 Ed and Melody first met in November 2016, when the Thinking Out Loud singer visited the youngster in hospital, and later the pair enjoyed a second meeting at a private show held at London’s O2 arena. As well as his incredible heart, Sheeran has a great sense of humour. Last month, Twitter King James Blunt posted a striking photograph of himself bent over, looking straight down the camera lens and pouting, appearing to be ‘close’ with everyone’s favourite ginger. Ed just looks to be observing James’ behind, with his arms crossed…a very chilled approach to the whole ordeal. It was a staged photo in order to get us all talking about James Blunt’s extra concert in Sydney on March 14. In terms of the four chords, he made his point, and the magic is forever ruined. Thank you Ed, for being a crusader for the truth in a world of smoke and mirrors.